Yesterday's edition of the Los Angeles Times announced Fairmont's Elementary School Program as a regional winner of an LA Times Reader's Choice Award! We'd like to thank the LA Times readers for this honor and congratulate all of our teachers and administrators. To read more about the Reader's Choice Awards, check out the electronic edition here. Week 5 marks the half-way point of summer! The fun, hands-on learning continues with art, science, cooking, music and sports--as well as this week's trip to Wild Rivers! 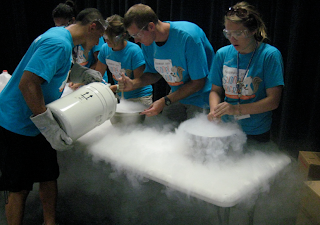 Liquid Nitrogen Ice Cream Experiment in progress at the Anaheim Hills Campus! 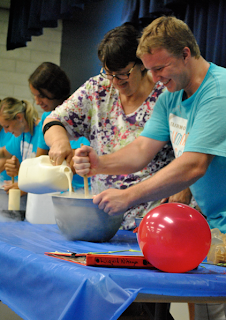 The experiment is fun, but the ice cream topping bar is even better! Week 5 Sports included a variety of outdoor games. Mr. B is "it" at the Edgewood Campus! 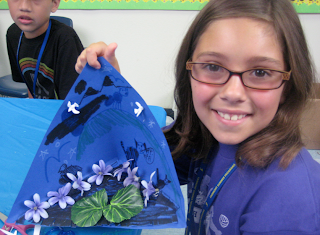 Morning art included making Wildlife Dioramas. Students used a variety of recycled products, model magic and more to create their own diorama and animals. Mrs. Baham, summer science coordinator, assits Edgewood Counselors in making ice cream with liquid nitrogen. 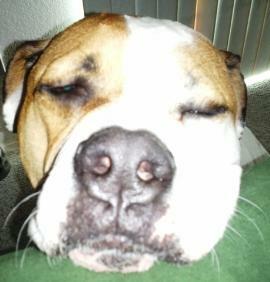 We love Mr. Evan's big smile! Edgewood Preschoolers love their yoga time! Check out our great "upward dogs"
The Marionette Show for preschoolers was magical. They loved getting up close and personal! 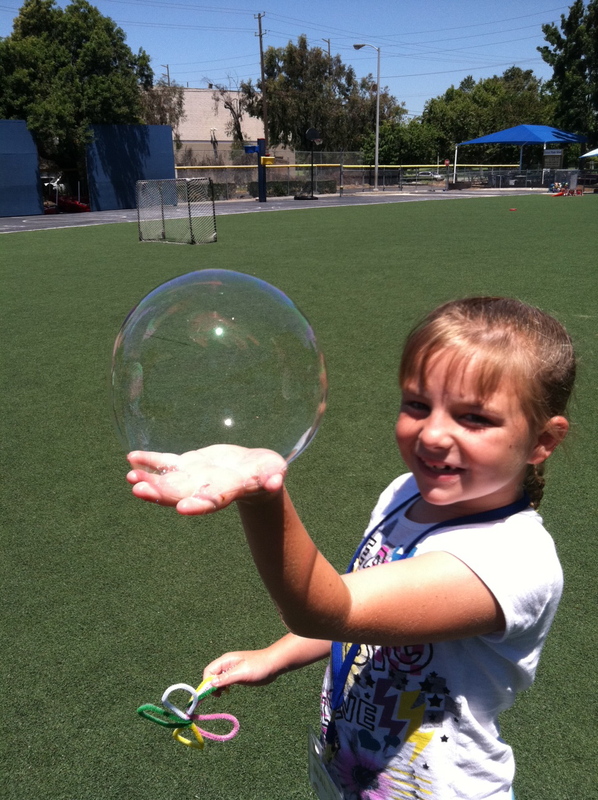 Greetings from Kindergarten Summer School at the Citron Campus! 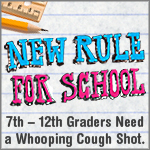 This week, students are halfway through their reading, writing and math readiness program for the upcoming school year. 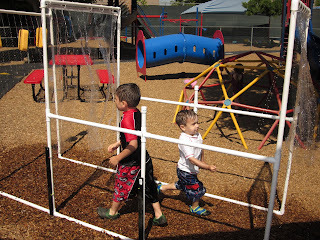 Water Play at the Citron Campus "Car Wash"
It's been another great week. Don't miss next week's Around the Campfire! On July 13, 2011, Wingspan Pictures, the production company working with the Bill and Melinda Gates Foundation to create programming for The Teaching Channel, visited Fairmont to film two teachers. The footage from Fairmont is slated to appear on The Teaching Channel website, You Tube and Facebook pages, and could be included in a television episode on the PBS program “Great Lesson Ideas” this fall. Wingspan began by filming two Kindergarten lessons at the Fairmont Anaheim Hills Campus taught by Heather Lopez. The first lesson incorporated an interactive white board to teach students about ordinal numbers in an engaging, dynamic way. The second lesson focused on identifying and understanding consonant-vowel-consonant words through sounding out and then acting out the words as a group. Mrs. Lopez led the students in jogging in place and mopping the floor while the camera crews captured the learning process in action. Transitioning from Kindergarten to high school, the production company then traveled to Fairmont Preparatory Academy to film math teacher Mark Hassoun teach “The Fundamentals of Triangles and Quadrilaterals” to his summer school geometry class, which is taught in a hybrid online/in-class format. Wingspan cameras captured close-ups of the students using cut-out triangles to represent the angles of a quadrilateral and then followed as Hassoun’s impeccable handwriting filled the white board to visually explain the lesson. “Being neat and organized in your lecture and using colors to make the white board notes visually appealing are two ways to ensure the success of this lesson, and any geometry lesson,” Hassoun explained to the Wingspan Director during his follow-up interview. He and Lopez had the opportunity to share their teaching tips and tricks along with the story behind their passion for teaching in their individual interviews filmed after the lessons. 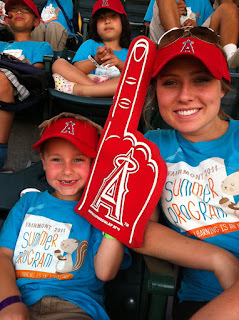 Fairmont Campers and Counselors are Number 1! 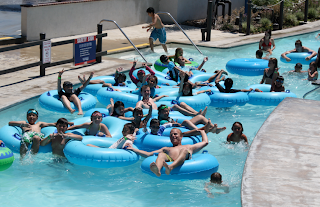 In honor of America's Independence, the third week of Fairmont Summer Programs was one giant celebration of Americana with field trips to an Angels baseball game and Corona del Mar Beach. We all enjoyed teaching our international students about hot dogs, the 7th inning stretch, and of course, the Rally Monkey! 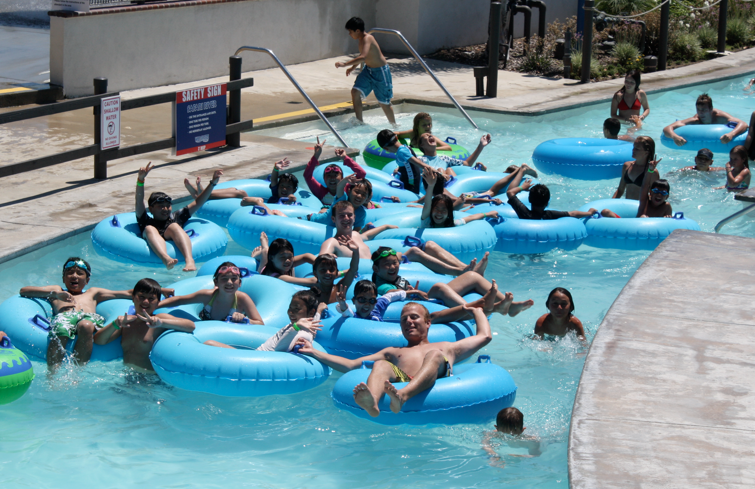 For most of our campers, the beach trip is their favorite field trip. Making sandcastles, catching sand crabs and teaming up with buddies to splash counselors with buckets of water are some of the best summer camp memories. Our apologies if you are planning a beach trip yourself this weekend--we may have brought all of the sand back on the bus with us! 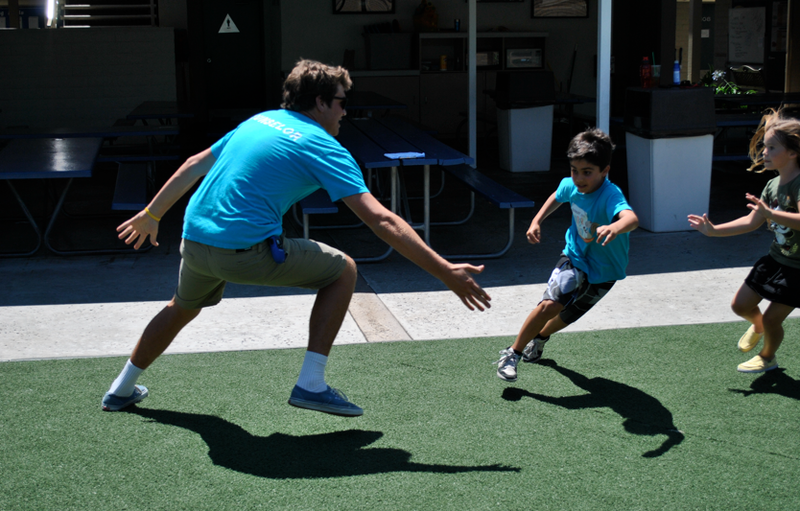 Summer camp science was a blast doing experiments surrounding space and rockets. Campers were even transported to Mars to analyze tasty space samples--learning has never been so yum, we mean fun! The art mosaics our campers made were also out of this world! 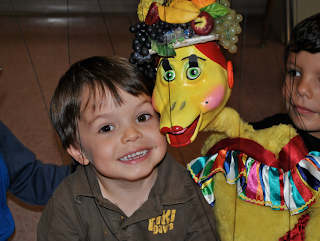 For Friday Fun Day on-campus for our preschool and junior kindergarten students, campers enjoyed a visit from Build-a-Bear! What a fun party favor from America's birthday party this week at Fairmont Summer Programs. You know it's been a great week when this is what the bus looks like heading back to campus! 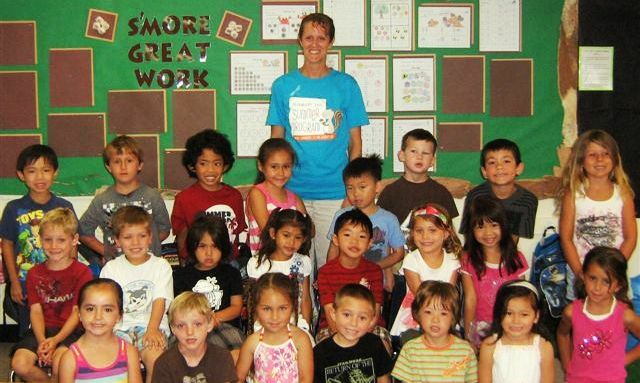 The fact that Fairmont Private Schools has some of the best teachers around is something we've known for years. We've also been proud to share our innovative approach to technology; blending online and in-class learning experiences to reach out to 21st century learners. Now, the cat is out of the bag in a big way! This June, the Bill and Melinda Gates Foundation, working on behalf of The Teaching Channel, requested to film some of our K-2nd and high school teachers in action. 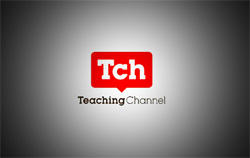 The Teaching Channel is a video showcase -- on the Internet and TV -- of inspiring and effective teaching practices in America's schools. 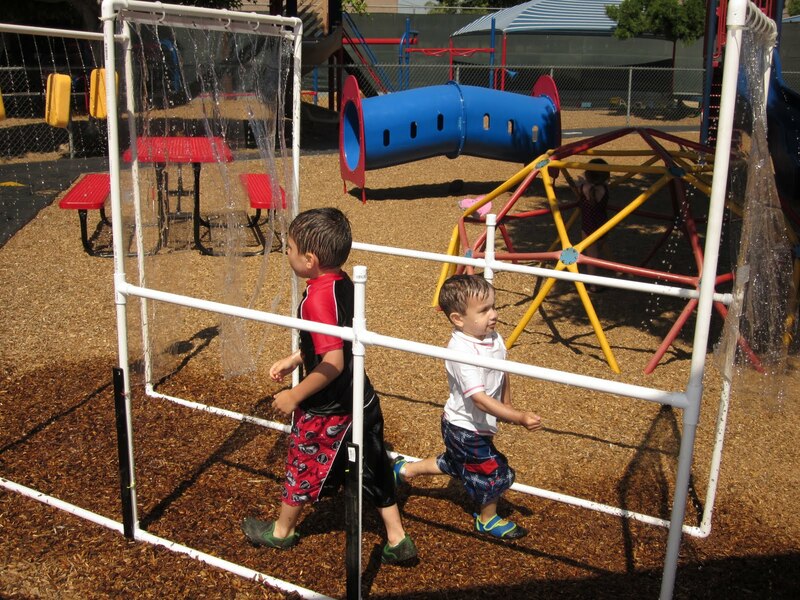 On July 13, Wingspan Pictures, the production company working with the Foundation, will be visiting the Anaheim Hills campus to film Heather Lopez teaching an interactive Kindergarten lesson using an interactive whiteboard. In the afternoon, they will head over to Fairmont Preparatory Academy to film Mark Hassoun teaching "The Fundamentals of Triangles" to his summer geometry class using Fairmont's hybrid online/in-class format. Both Heather and Mark were required to meet certain qualifications set by the Foundation and had to submit detailed lesson plans for approval. Special thanks to them for their willingness to jump on board with this project! Fairmont's footage will eventually appear on the Teaching Channel website, You Tube and Facebook pages and could be included in a television episode on the program "Great Lesson Ideas" this fall. Fairmont is incredibly proud of our amazing teachers and honored to have the opportunity to share what they do so well! 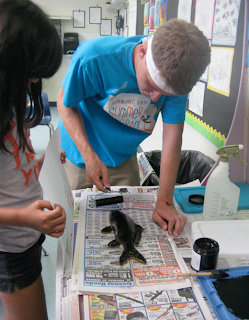 This week kicked off the first week of Fairmont's 6-week summer school program. Students pre-kindergarten through 8th grade joined Fairmont teachers in school-year readiness programs focusing on reading, writing and math. At the high school level, subject specific hybrid courses began this week allowing students to get ahead over the summer by taking challenging for-credit courses. Summer campers played basketball, made paper mache creatures, tie-dyed camp shirts and experimented with UV beads in this week's "Where the Wild Things Are" themed week of camp. Some of the Wild Things at the Zoo -- Love these monkey faces! 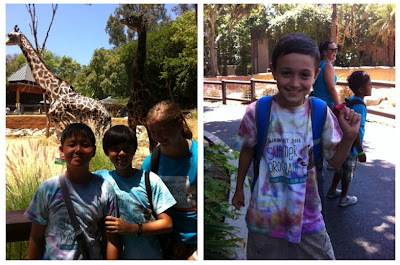 Today's field trip to the LA Zoo wrapped up this week's Wild Things adventure by seeing where the wild things really are! 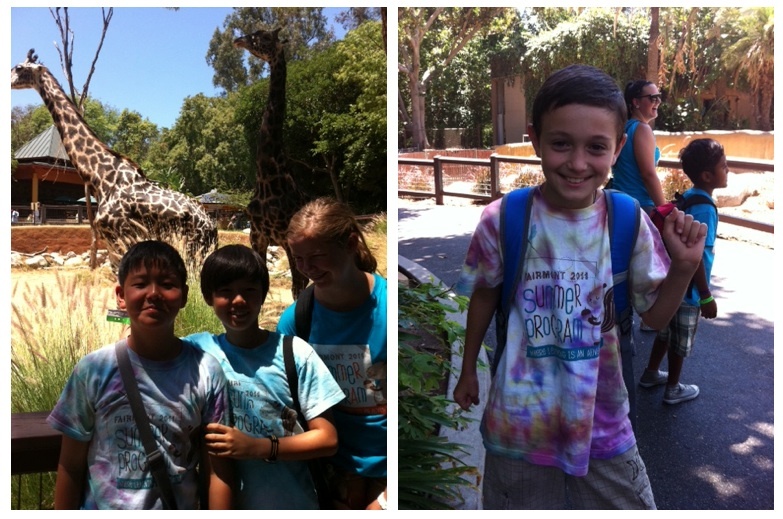 Campers and counselors loved getting up close with giraffes, gorillas, chimpanzees, elephants, hippos and more! Don't miss next week's "Under the Stars" week of summer camp celebrating America's Independence with a trip to cheer on the Angels! Don't forget, Fairmont is closed on Monday in observance of the July 4th holiday.